In order to proactively promote the brand in the Far East region, the ASV Farms team took the bold step to reserve, decorate and man an ASV Farms promotional stall at Asia Fruit Logistica, the region’s leading international fresh produce conference and trade show which is held annually in Hong Kong in early September. 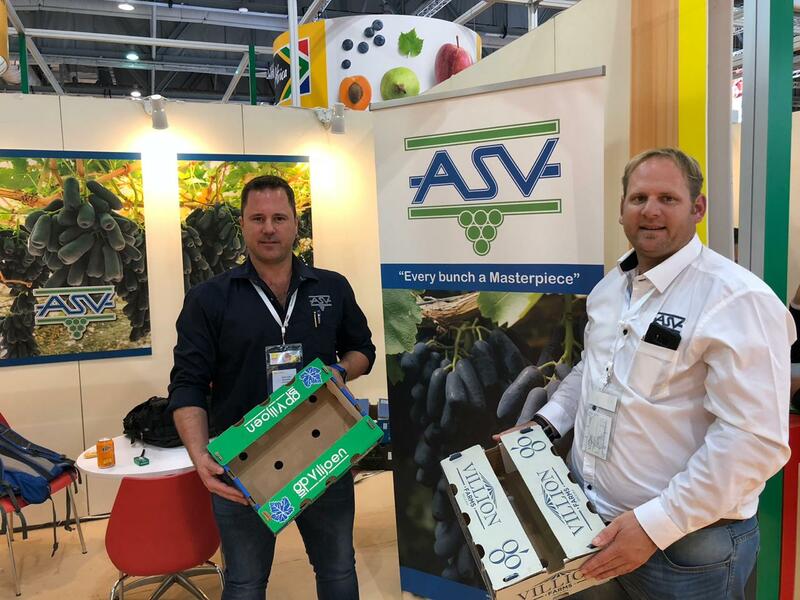 ASV Farms shareholders and brothers Gabriel Viljoen and Anton Viljoen were accompanied by ASV Farms marketing manager George Erasmus to undertake this marketing and promotional initiative and prior to the show, Gabriel Viljoen also visited Shanghai, Guangzhou and Dalian in China. The company’s promotional presence and exposure to clients and the broader fresh produce sector stakeholders in the region was extremely well received. Building on these successes, ASV Farms looks forward to building the company’s brands in Asia by establishing long term business relationships in these markets.